Things are fairly normal in Hard Pan, population forty-three. But to Lucky, fairly normal means fairly boring, and she’s restless. Just in the nick of time, she meets a potential new best friend named Paloma, who happens to be visiting Hard Pan with her uncle, a geologist. And before she knows it, Lucky gets stuck in a well, meets up with a wild burro, discards something she didn’t know was precious, does something unexpectedly cruel, and learns a couple of the secrets of the universe. Lucky Trimble is ten years old in The Higher Power of Lucky, and the only thing wrong with her life in Hard Pan, California (population 43), is that she doesn’t have an actual mother. When she becomes convinced that Brigitte, her guardian, is planning to return to France, she packs a survival kit and runs away. Her plans go awry, and two friends, the entire town, and one almost actual mother help her discover what she has been searching for all along—her personal higher power. In Lucky Breaks, Lucky discovers that at age eleven she needs a friend who’s a girl. She meets Paloma Wellborne, who comes to Hard Pan with her uncle to do geological research. The girls hit it off, but it is up to Brigitte to convince Mrs. Wellborne that Hard Pan is a safe environment for her daughter. Old and new friendships are tested and celebrated as the girls embark on an adventure that turns dangerous and causes them to think about the meaning of trust and responsibility. Lucky is a little older and wiser in Lucky for Good, the final book in the trilogy. She now has a mother to answer some of her questions, but there are just so many questions. Does her father really hate her? Is she really going to hell for being interested in Charles Darwin? Will the health department ruin everything for Brigitte’s Hard Pan Café? Some of her questions have easy answers, and some have no answers at all. But, as always, Lucky knows how to chart her own course. When The Higher Power of Lucky won the Newbery Medal, newspapers and talk radio shows across the nation raised questions about the book because Lucky, the main character, hears Short Sammy say that his dog was bitten on the “scrotum” by a rattlesnake. Ask readers to discuss why it is wrong to take words out of context. How does this promote censorship? Ask them to discuss why some adults don’t think it’s appropriate for children to read about parts of the anatomy. Debate whether censoring a book because of one word is an insult to the intelligence of a reader. Lucky, Lincoln, and Miles are the only kids in Hard Pan. Describe their relationship. Miles is especially annoying to Lucky. Debate whether it’s his age, his personality, or the echo of him in her own longing for a mom that sometimes irritates her. Discuss the circumstances that change the relationship of the three kids as they grow a little older in Lucky Breaks and Lucky for Good. In The Higher Power of Lucky, Lucky eavesdrops at the anonymous 12-step meetings at the museum and learns that each person is in search of a Higher Power. Discuss why Lucky is so anxious to find her Higher Power. The 12-step people tell about rock-bottom moments before finding their Higher Power. What is Lucky’s rock- bottom moment? Explain why the “getting in control of your life” step is especially difficult for Lucky. At what point in the novel does Lucky discover her Higher Power? How does discovering it set her life on a different course? Lucky’s father asked Brigitte to take care of Lucky until she could be placed in a foster home. Brigitte says that she would want a foster home that would give Lucky a little freedom but some discipline as well. Discuss whether Brigitte offers this type of home environment for Lucky. Brigitte is a “beginning mom” in The Higher Power of Lucky. Describe Brigitte’s mom skills by the end of Lucky for Good. Discuss the symbolism in her question. What is symbolic about Lucky plugging up the knothole in the fence of the museum? The three kids in Hard Pan are free to roam their desert town. How does freedom require responsibility? Discuss moments in all three novels when Lucky takes her freedom a little too far. How is learning to be responsible part of growing up? In Lucky Breaks, Lucky wants to be intrepid. How does she confuse acting intrepid with acting responsible? Discuss moments in the novels when Lucky is responsible. What is her most intrepid moment? Abandonment is a central theme in all three novels. In The Higher Power of Lucky, Lucky is dealing with the death of her mother and with a father who doesn’t want her. Debate whether Brigitte’s decision to adopt her changes Lucky’s feelings of abandonment. Miles’s mother is in jail. Why does he think his situation is better than Lucky’s? Explain the following metaphor in Lucky Breaks: “She felt unseen, a lamp with its cord unplugged from the socket.” Why does Lucky feel misunderstood? What doesn’t she understand about herself? What more does she need and want? Debate whether she is searching for a more typical or ordinary life. At what point in Lucky for Good does Lucky finally feel that her “cord is plugged into the socket”? In Lucky for Good, Lucky elects to research her family tree as punishment for fighting Ollie Martin. Why is the school principal worried about Lucky taking on this particular assignment? How does the assignment help Lucky discover her family? Why did her father want her to have his books upon his death? Debate whether Lucky can now deal with the feelings of abandonment that have plagued her for so long. Lucky and Lincoln have been best friends forever. Now that Lucky is growing up, she really wants a girl friend. 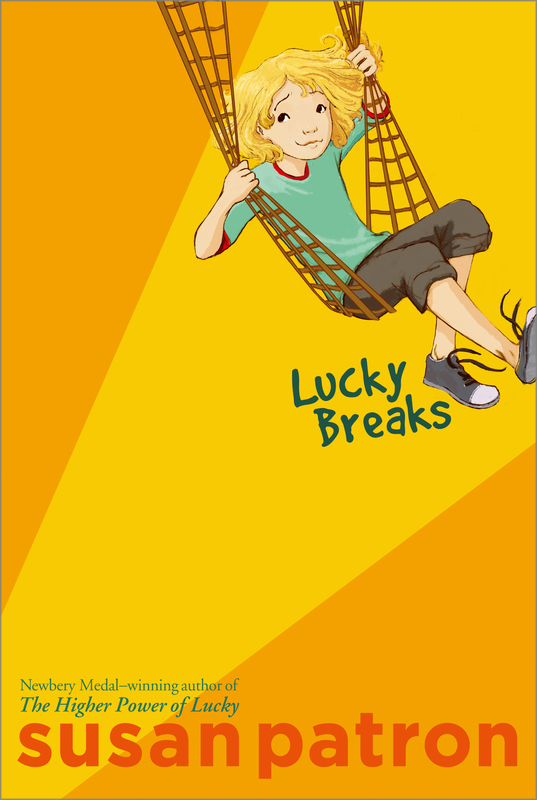 Describe the friendship that develops between Lucky and Paloma in Lucky Breaks. Discuss the term “polar opposites.” How are Lucky and Paloma polar opposites? What is it that intrigues Paloma the most about Lucky’s life in Hard Pan? In Lucky Breaks, Paloma’s mother isn’t sure about letting her daughter spend the weekend in Hard Pan. Discuss Brigitte’s conversation with Mrs. Wellborne about trust. Discuss the good and bad choices that Lucky and Paloma make. What do they learn from their mistakes? What does Mrs. Wellborne discover about Hard Pan? At first, Lucky thinks that she has to give up her friendship with Lincoln in order to have Paloma as a friend. What does Paloma help her realize about Lincoln? How does Lucky and Lincoln’s relationship deepen by the end of Lucky for Good? In Lucky for Good, the three kids from Hard Pan encounter Ollie Martin, a bully from Einstein Jr. High School. How are they unprepared for dealing with a bully? What is wrong in Ollie’s life that causes him to be a bully? Discuss how he is eventually pulled into the circle of friends in Hard Pan. Lincoln Clinton Carter Kennedy is named for four US Presidents. Based on his name, to which political party do you think his parents belong? Lucky thinks that Lincoln sounds and acts like a future president—grave, serious, and diplomatic. Discuss moments in each book when Lincoln displays each of these characteristics. The Inyo County Health Department of the State of California wants to shut down Brigitte’s Hard Pan Café because the kitchen is in a residence. How does the entire town engage in a solution to the problem? Justine, Miles’s mom, returns from prison a changed woman. How does her newly discovered religion confuse Miles? Debate whether she was part of a 12-step program in prison. Mrs. Prender and Justine argue about religion. Debate how Miles might view religion as he becomes an adult. Justine thinks that Lucky is a “sinner” for studying Charles Darwin and the theory of evolution. And, she won’t allow Miles to read the dinosaur books that he has always enjoyed. Why is Justine so afraid of what Miles is reading? Mrs. Prender reminds Justine that Miles is considered a gifted child. Discuss whether Justine is frightened by Miles’s intelligence. How is censorship a form of mind control? Explain what Lucky means when she advises Miles to keep thinking with his “own brain.” How is “thinking with your own brain” a healthy way of dealing with the world around you? Discuss how Susan Patron uses humor in characters and plot to reveal serious and profound themes. At the end of Lucky for Good, Lucky realizes that there is always someone in Hard Pan who needs rescuing. She knows that she will sometimes be that person, and sometimes she will be the person that comes to the rescue. Trace Lucky’s journey from needing to be rescued in The Higher Power of Lucky to her role as rescuer in Lucky for Good. Write a two-line character sketch of the following characters: Lucky, Lincoln, Miles, Brigitte, Short Sammy, Ollie, Paloma, Mrs. Prender, and Justine. Brigitte becomes a naturalized citizen. Find out the steps one must take to become a naturalized citizen. Then have a citizenship ceremony for Brigitte. Ask students to collect interesting objects in their home or on a walk in their neighborhood. Then have them make a wind chime that might be displayed in Hard Pan’s Found Object Wind Chime Museum. Students may wish to vote on the most unusual wind chime. Lincoln is going to England to the International Knot-Tying Guild. Visit the following website and find out what Lincoln needs as a minor applying for a passport for the first time. : http://travel.state.gov/passport/get/first/first_830.html. Almost everyone in Hard Pan qualifies for government surplus commodities. Yellow cheese is one of the commodities delivered in abundance. Short Sammy is especially creative in developing recipes using the commodities. Ask each student to create a cheese recipe that Short Sammy might serve the people of Hard Pan that visit him in his water tower house. Divide students into small groups and ask them to create a YouTube video advertising Brigitte’s Hard Pan Café. Instruct them to use any two characters from the books as stars of their video. Guide prepared by Pat Scales, children's literature consultant, free speech advocate, and retired school librarian. 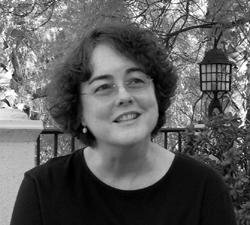 Susan Patron specialized in Children's Services for 35 years at the Los Angeles Public Library before retiring in 2007, the same year her novel The Higher Power of Lucky was awarded the John Newbery Medal. As the library's Juvenile Materials Collection Development Manager, she trained and mentored children's librarians in 72 branches. Patron has served on many book award committees, including the Caldecott and Laura Ingalls Wilder Committees of the American Library Association. She is currently a member of the Advisory Board of the Society of Children's Book Writers and Illustrators. Patron's previous books for children include the Billy Que trilogy of picture books; Dark Cloud Strong Breeze; and a chapter book, Maybe Yes, Maybe No, Maybe Maybe. All earned starred reviews, and the latter was named an ALA Notable book. The Higher Power of Luck will be translated into twelve foreign languages and has been optioned for a motion picture. Married to a rare book restorer from the Champagne region of France, Susan is working on the final book in the "Lucky" trilogy. Matt Phelan's black-and-white illustrations first appeared in The Seven Wonders of Sassafras Springs by Betty G. Birney. His picture books include The New Girl...and Me and Two of a Kind, both written by Jacqui Robbins. Matt lives in Philadelphia, Pennsylvania.